This article appeared in the Edit Page of The Pioneer under the title Some countries just cannot be trusted. Hua Chunying, the Chinese Foreign Ministry spokeswoman was at her elusive best when she announced ‘progress’ in the Sino-Indian ‘stand-off’ in Ladakh: “So far as I know, relevant departments of the two countries have made positive progress in their friendly consultations." According to Xinhua, she stated: “I believe that both sides have the will and capability to properly resolve this incident as soon as possible and jointly maintain the healthy and stable growth of China-India relations." ‘Will to resolve’ the issue, clearly means that it is not solved. Even if the troops’ withdrawal remains shrouded in vagueness, it is important to take an initial trial balance of the incident in the High Himalayas. A first point to be noticed: Delhi was taken by surprise; India was not ready to tackle the situation, whether militarily, diplomatically or at the PR level. 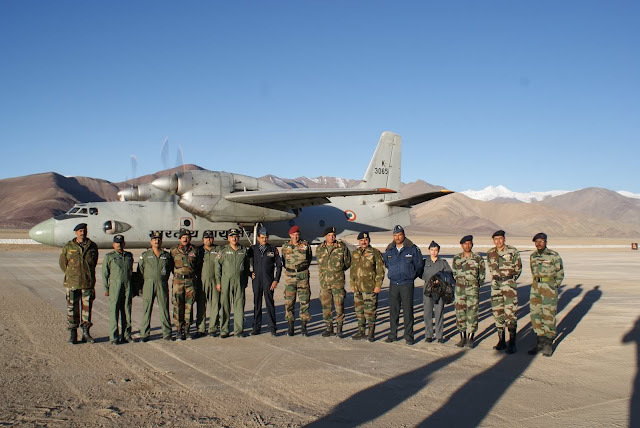 There is no doubt that the terrain favours China: after months being posted in Western Tibet, Chinese jawans and officers are usually well acclimatized; it is relatively easier for them to go on a ‘camping’ outing like the present one at Daulat Beg Oldi (DBO). While the toughest soldiers of the Indian Army took more than a week to reached DBO, the Chinese could drive in a 3-ton! And it was in 1961. The topography and the difficulty to survive in the area was obviously known to the Indian Army and intelligence agencies, but they did not envisage that the Chinese would plant tents in what Beijing considers to be its side of the LAC. From the Chinese side, everything seemed to have been programmed to the minutest details, including the ‘withdrawal’, if withdrawal it is. For future bilateral relations, one worrying issue is that China is ready to break formal treaties or agreements when it suits its interests. The DBO episode is clearly a breach of the 1993 agreement. Delhi should remember this in the future. On the positive side, India has discovered that she had so many experts on China, though so far nobody could explain why Beijing took the risk of provoking a clash at this particular point in time. If China had some grievances against India (which may be valid or not), they could have first taken them up at one of the scheduled bilateral meetings (Salman Khurshid in Beijing or Li Keqiang in Delhi). A visit of A.K. Antony to China is also planned later this year. There were at least 3 forthcoming occasions to solve pending issues and make ‘positive progress in their friendly consultations’. There is also a routine mechanism at the level of the Joint Secretary (East Asia) whose phone must have become hot during the past 3 weeks. This could been used. By the way, did you notice that China had only one speaker for the issue? The Central Military Commission, the PLA, the State Council, the Party all kept quiet. Apart from the spokeswoman, the websites of The PLA Daily, The People’s Daily, The Global Times, etc. remained extremely discreet. It was not the case in India, where officials from different ministries and branches of the government gave their take on the issue, sometimes ‘officially’, often ‘off’. Another good lesson to learn for India! India and China are very different nations: the former is the largest democracy in the world with a free press; the latter is ruled by a single party heavily depending on censure of the Press. Still, living in an open society does not mean that the Indian public is well informed. In fact, it appears that even ‘experts’ are abysmally lacking basic knowledge of the situation on the ground, particularly the respective claims of both India and China. The present DBO incident and the subsequent flurry of articles/programs may help the general public to understand better the actual stakes. It is perhaps high time that the Government of India starts publishing White Papers like it had done between 1959 and 1965 (15 White Papers disclosed the correspondence between Delhi and Beijing on the border issue). China is bound to object, but India does not need to follow Beijing’s diktat when it goes against its professed principles of transparency and openness. If India has a case, and I believe that is has a strong one, it should be known and understood by the common man. Now, what has China gained from its DBO excursion? Many theories have been propounded: some say that the Chinese leadership wanted to show its displeasure on the new coziness between Delhi and Tokyo. But is it not putting the cart before the horse? Indeed, such Himalayan happenings are bound to draw US, Japan and India closer, not the other way around. What about China’s displeasure at the infrastructure that India has been building on this side of the LAC? Was it worth this drama? Was it not possible to discuss this issue at the already scheduled ministerial meets? ‘Experts’ will argue that according to the Art of War, it is the Chinese way to get what they want. This is not certain, because the issue has for China serious negative collaterals. They may have ‘marked their territory’ by ‘camping’ for 3 weeks in the ‘Gateway to Hell’, but they have not earned goodwill from India. This incident, even if it is ‘successfully’ solved by both diplomacies, will remain for years a scar in the Sino-Indian relations which had just started looking up. When Chinese scholars visit India, they like to say that both countries should sincerely work on the mutual trust deficit. It is clear the Chinese ‘camping’ has pushed back for years the earlier progress in closing the ‘trust’ gap. Where do the last intrusions fit in the Chinese Dream? It is clear that Xi’s pet slogan has taken a beating in the process. But there is always the possibility that DBO ‘stand-off’ has made some PLA’s Generals dream and this without the blessings of the Emperor. Who knows?